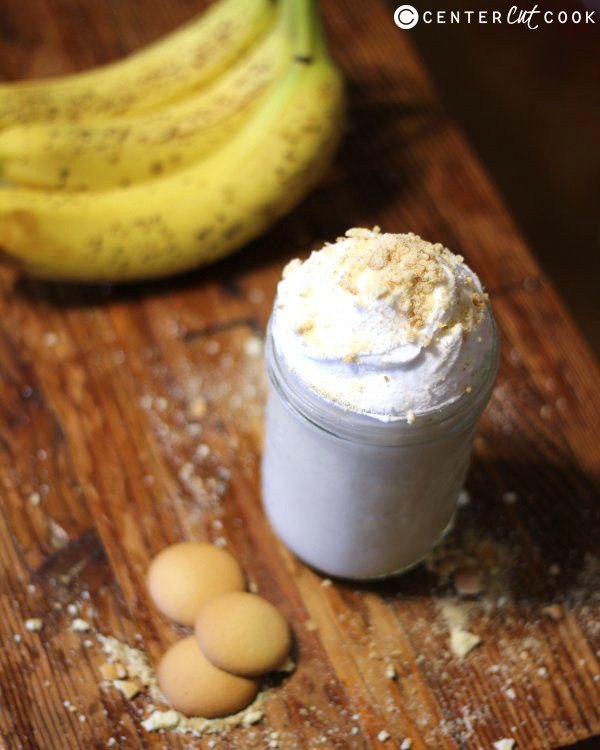 This creamy, delicious banana cream pie smoothie tastes decadent, but is healthy enough to eat for a special breakfast or snack. Banana cream pie and Southern style banana pudding are two of my favorite desserts. It’s hard to resist the luscious combination of bananas, vanilla wafers, whipped cream and pudding! And no one made it better than the Black-Eyed Pea Restaurant in my little hometown on the East Coast. Sadly, I moved and I haven’t found these restaurants in Illinois. But I’m delighted to say that this smoothie tastes just like my fondest banana dessert memories! It’s a little indulgent, with 1/2 cup of vanilla wafers, but the rest of the ingredients are pretty healthy, and it makes enough for two, if you dare to share! Note: I use frozen bananas in many of my smoothies because of their wonderful creamy taste and texture. I’ve noticed there’s a huge taste difference between organic bananas and regular ones, even when frozen. Regular ones are more mild and blend well with just about anything. You can’t taste them, which is an advantage in many recipes. The organic ones definitely have a stronger “banana” flavor, which are great for this recipe. I often find organic bananas on clearance at my local Kroger for the same price as regular bananas. I take them home, peel them, put them in freezer bags and pop them in the freezer for future smoothie creations. 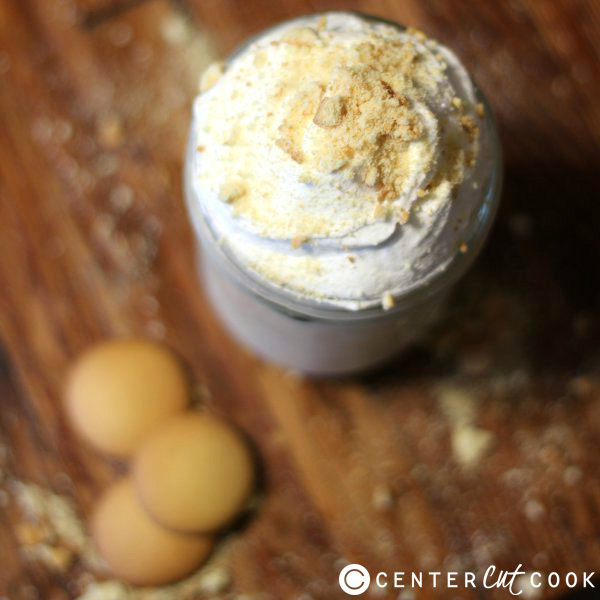 Blend vanilla wafers until crumbled. Add frozen bananas, milk, and vanilla yogurt, blending until smooth.